According to Ninth Principle of the Georgian Charter of Journalistic Ethics, editorial content should be strictly separated from marketing, advertising, and sponsored materials. The main goal of the principle is to prevent media from misleading the audience – from providing information as verified and confirmed while it is published in exchange for a certain fee. 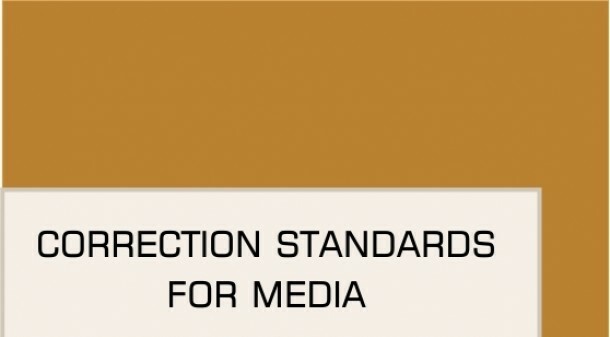 According to the Charter's practice, media outlets shall be responsible for all information that is spread through their platforms. Therefore, if a commercial content is published as an editorial material without a proper marking, the editorial office shall be responsible for the contents. The media is accountable to the audience and should respect the right of the public to receive accurate information rather than misleading and unverified advertising content. Basically, all types of media outlets allocate advertising time and place – banners or commercials are entirely different from a journalistic material in terms of form and contents, therefore, it is less likely that anyone will perceive them as editorial material. In contrast, problematic is the material that does not differ from journalistic content, for example, it has the form of an article or footage is prepared, etc. At such time the audience may easily believe that the information provided with no proper labeling has been checked by the editor, for example, a product is really the best. Consequently, instead of using confusing symbols, it is important to indicate that the material is an advertisement. • Media organizations must ensure editorial independence from commercial influence. The influence means changing the airtime or publication timeframes, idea, a footage storyline, respondents, presenter’s behaviour, shooting angle, location or other key details as desired by the customer. • It should be clear to the public that they are receiving information of commercial content. • Any material prepared and published as commercial content must be strictly distinct from the editorial material. It must be accompanied by a proper labeling in an easily detectable place and form. • Any material without a relevant marking shall be considered as a content of the editorial responsibility. • The editorial office should have in place a policy for distinguishing between advertising and editorial content, which must become the basis of signing agreements with advertisers or service purchasers. In addition, advertising and editorial departments should be clearly separated. • When promoting commercial content within the scope of any advertising agreement, no further editorial support should be provided for a company or a product. It is a common practice to publish content in the form of an article that is paid for commercially, which can misinform readers because of the lack of an appropriate marking. • Contents developed in online and printed media based on an agreement should be accompanied by an indication of funding in an easy-to-read place and manner. The labels such as "Partner Content", NS, R, "Associate’s Material", etc. are confusing to the reader. It is better to apply the labeling like "Advertising"/"Commercial Article", "Advertising Page". It is not recommended to indicate on the last page of a newspaper or a website that certain pages / columns are funded. The marking must be added to an article itself. • The editorial office should be transparency-oriented. If it is impossible to identify a customer in a commercial content, the editor should clearly indicate the client. • If the content provided by the customer contains specific accusations against another person, or it is obvious that the purpose of the content is to discredit a person, the editorial office must make a decision on the publication of such content based on their editorial policy. • As for broadcasters, advertising a product or a service in a news programme is both unethical as well as illegal. A part of the international media has such restrictions regarding the programmes that provide the public with news about business and economics. • When placing an advertising content or footage, or selling the airtime in a programme that is not a news programme, the broadcaster must inform the audience that the material is commercial. Subtitling can be used for this purpose. Product placement is the inclusion of a product within a programme for a commercial purpose, for example, placing a banner, using branded items, etc. • According to the legislation, product placement is allowed only in feature films, television films, soap-operas, film episodes (except for documentaries), sports and entertainment programmes (except for children's programmes), lotteries, gambling games, goods/services provision as a prize free of charge or without economical benefits. • In such programmes products can be placed, but under relevant rules - it is impermissible to promote a product and its advantages and encourage public to purchase it. No specific address, product price, discount, slogan or other details should not be indicated, as they are a part of advertisement. • It is prohibited to place medicines and medications that are issued under prescription. • It is not permitted a presenter to persuade viewers to purchase a product by referring to his/her own experience, for example, "I've been using this shampoo for a month and I'm excited by the result," "I advise you to buy this juice. My daughter starts her morning with it. It’s a completely natural product. " • A positive assessment provided by a presenter or encouraging viewers to buy the product is particularly unacceptable and unethical when it comes to health. The presenter’s persuasive promotion of medications, self-care products, nutrition, and other products may lead to deplorable consequences. Sponsorship is a direct or indirect funding or co-financing of the preparation of a programme or a live broadcasting of a programme with a view to promoting a sponsor’s name, trademark, image, and activities. Sponsorship should be strictly distinct from advertising because it directly funds particular media content. • Similarly to product placement, the sponsor must not distort contents of the funded material. • Sponsorship of information-political programmes must be prohibited, as well as of those which are related to consumer rights, electoral campaigns. • The audience should clearly identify the sponsor by means of his/her name, commodity or other identifying marking at the beginning, in the course and / or at the end of the programme. • Sponsorship must not include the invitation to purchase a product or a service. • Content and rubrics that provide reviews or advice on various products and companies cannot be sponsored by organizations whose products or services are likely to be reviewed. • With the view to ensuring impartiality, a journalist or a presenter of news programmes, public-political and pre-election debates may not be permitted to participate in advertising or teleshopping. • The same standard must be applied to commercials disseminated by broadcasting or other media platforms. Journalistic products are accompanied by mistakes and incorrect details, which in some cases are the result of time constrains, inattentiveness, lack of professionalism, lack of experience or other factors. Responsible media, for which the trust of the audience and reputation is important, tries to promptly correct the mistake and work to share true information. In case of incorrect information being published, the editorial group has a challenge to share the corrected information with the same audience who got the incorrect information in the first place. The correction can take different forms, according to the way the information was shared, the scale of the audience and the length that it was available. Journalists and editors have to take responsibility for their mistakes and correct them. Audience has to understand what was corrected and what was false and is true. If the events are ongoing and new details will be revealed, it is necessary to say that the information is renewed. The responsibility for the mistake has to be shared between the journalist and editorial group and if possible, the reason should be explained. The correction has to be made in the reasonable time. The time is dependent upon the type of the media and scale of the audience, therefore is individual, according to the context. Editorial group needs to be attentive to the comments made on different platforms by the audience, which shows the mistake. 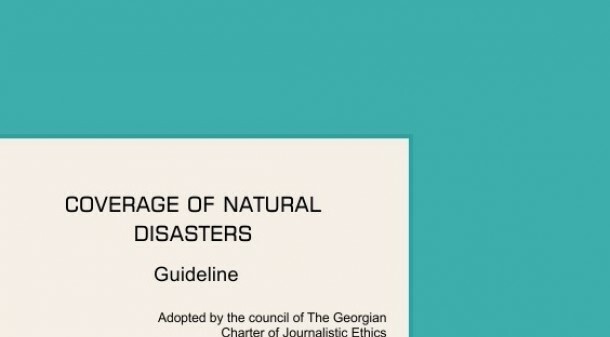 According to the practices of the Charter of Journalistic Ethics, the message about the mistake can be made in any form to the journalist or the editorial group. It will be considered a violation of the correction rule if it becomes known that they knew after publishing the information that it was not true but did not correct it. The editorial group has to decide how to react, when to correct/not correct the material, who has to make a decision, etc. after acknowledging that there was a mistake made. It is preferential that organizations have their own guidelines of this procedure. It is better if the company’s official web-page has special part where audience can send the information about mistakes. The published information should be corrected in a way that notifies the audience of the correction. Where it is possible and does not damage anybody, it should be noted what was incorrect in the first place. When changing the headline, the media should check that it is corrected on every platform where it was shared. Pay attention to the URL of the link, which in many cases is similar to the headline and correct it too. In case of correcting the photo, make sure that it is not searchable on any platform of the media. Use Facebook tools to correct the link, for the incorrect link not to be shareable anymore. You can also renew the shared material on Facebook without deleting it. Fully deleting the material is the last resort. It can be done when there is no public interest present and it violates somebody’s rights or ethical standards. Material can be deleted instead of correcting it when you are the only open source of the information. If others also shared the information, it is better to correct it. It is preferable for the media to explain the reason of such decision. The broadcaster has to openly and immediately state that a mistake was made and correct it in an equal form. For example, if the mistake was made in prime time in the main news show, it has to be corrected in the same show next day. The equal form of correction depends on the case relevancy and in some cases it might be better to correct the mistake in the next news show. Official web-page can be used to correct the information promptly. In case of internet broadcasted video, it has to be re-uploaded with the correction on the official webpage and corrected on every platform according to the rules stated in the guidelines for online media. According to the code of broadcasters, a person, who was the target of incorrect information, can address the media in 10 days after the broadcasting and request for the mistake to be corrected in equal form or for the information to be denied in the same length and approximately the same manner of the incorrect statement. In case of press the equal form and measure are also important. If the incorrect information was printed on the first page of the newspaper, it is preferable for the correction to also be printed on the first page of the next issue. It has to be made clear that information in the previous issue was incorrect. The standard of correction for printed media is the same as the online media. If the mistake is grave, the editorial group can neglect to wait for the next issue and correct the mistake on their official webpage or social network pages. Privacy of every person is protected. 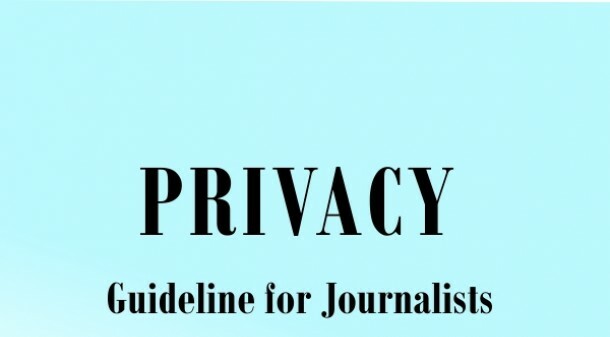 Therefore, Georgian Charter of Journalistic Ethics principle 10 distinguishes this – “Journalists must pay respect to privacy, and not intrude into the private lives of people unless there is special public interest” The right to have personal life gives everyone, including public figures, the ability to protect their personal life from others’ unwanted attention, not to publicize the details related to their health, personal relationships, etc. Privacy is a wide concept and does not have a precise definition. Maintaining balance between releasing personal details in case of public interest and protecting privacy is a challenge and responsibility of media. The reason why the personal information was made public is detailed. When talking about antisocial behavior, illness or any other negative context material, you cannot use close-up, accidental photos of a person taken in public space. The responsibility is higher in places such as hospitals, schools, prisons, emergencies… in this case you need double agreement – one from the institution and the second from the respondent, other persons in the place. Agreement is not necessary if you don’t identify the people. Video recording can be made without agreement in semi-public places, but the owner can ask you to stop the recording. Semi-public places are for example shopping centers, airports, places which belong to a private person, but are open for the society. Minors younger than 16 have higher privacy protection. Information about them needs to be approved by their guardian. Children who became interest figures by their actions, for example are singers, sportsmen, winners in a competition, are also protected. You cannot take an interview with them in public space without their guardian’s permission. For more information see the guidelines about reporting on children’s issues. What and who are you uncovering with this material? How will this information support the discussion important to society? Can you show the problem fully without these details? What additional information does the material give? What damage will a person take by publication of his personal information? Is the public interest satisfaction worth the damage done to the person? What alternate ways are there to report the issue? You must consider whether the publication of personal information will make a person stigmatized, ostracizes, discriminated against. Think about what will the consequences of publication be, for example danger of physical revenge, etc. Give the audience arguments with proof on why you decided to publicize private information. Starting or continuing recording when the respondent thinks that it has not begun yet or it is already finished. Hidden recordings for entertainment and comedic shows can be released when the participants are informed; be careful when using other people’s recording, recordings of observation cameras, operative materials. Public figure for media has a wider definition and includes everyone who has a function for public life in any field, for example politics, economy, culture, sports… public figures, especially politicians, high level officials (government workers), should have lower expectancy of privacy. But to some degree they also have the right to protect their personal life from other people. For example, their relationships, their health is private, if it does not attract public interest, which can be in case of improper use of public money for private relationships and treatment, etc. Interest in public figures’ life does not automatically mean that their family members, especially minors, have to be reported on as much. Their personal lives are more protected than that of their parents’. There are issues which can be more sensitive, as there is higher risk of improper violation of privacy. These issues include topics such as health, sexual life, adoption, surrogacy. The health topic reporting can also damage other people, because it creates distrust and they might abstain from getting treatment. It is vital to maintain balance between public interest and reporting on details about people who were in accidents. Showing close-ups of people who are injured, suffering, and in shock is approved when this shows the scale of happened tragedy, is needed for showing context and fully covering the issue. While working live, the media has to try not to focus on suffering of specific people. Media has to think about whether the repeated showing of horrific image will cause re-traumatization. Try to minimize re-traumatization of close people to the deceased and survivors. It is necessary to get the permission to record funerals of private figures. It is not advisable to show photo/video materials which depict difficult emotional state of people in the courtroom.